Nigeria like many African countries is filled with history. There is plenty to see and visit if you are ever in the country. After conducting research, I have selected some of the best and exciting places to visit in Nigeria. If you are into nature, there are some fantastic parks and reservations. If you like waterfalls, some beautiful ones are there to visit. Or, do you need some time to hang out at the beach? Well, Nigeria will offer that as well. So, let us take this journey, and when you are in Nigeria, you can visit them and experience the fantastic views and people. If you are ever in Bauchi State, North-East of Nigeria, you should go to the Yankari Game Reserve. At this reserve, you will see animals in their natural habitat. The reserve has the largest herd of elephants perusing near water holes. You can also take a tour with expert Safari guides to see patas monkey, antelopes, and olive baboons. Apart from all the wildlife you may encounter, enjoy the landscape and the environment. During the tour, you can stop at the Wikki Warm Springs to see and feel its amazement. The experience can only be real when you look at all the interactions between the animals in their habitat. Another fantastic place to visit is the Kamuka National Park in Bimini Gwari. This vast national park has a lot to see. Make sure you have your camera ready to take pictures. You will see many species of animals roaming freely and in herds. Antelopes, elephants, monkeys, and baboons, to name a few, welcome the visitors on a daily basis. The park covers more than 1,100 square kilometers, so you will have a lot of ground to cover. Be ready to have a great time with your family. Also, you will encounter many other curious individuals like yourself eager to see the animals in their natural environment. Are you into rocks? 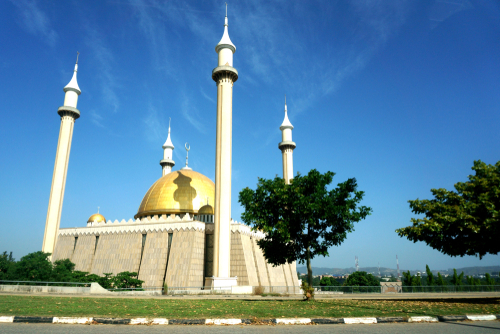 Then going to Zuma or Aso Rock in the capital city of Abuja will blow your mind. Zuma is the only rock in the immediate surrounding overlooking Zuma Town. The other mountains are miles away. Visiting Zuma Rock in April and October will display one of its unique magnificent. During this time, it is the rainy season, and while the rain falls on it, the apex of the rock catches fire and displays a beautiful glow. So, if you are ready to see this spectacular rock, stop in Abuja and enjoy the breathtaking scenery. For the art gallery aficionados, the Nike Art Gallery will show you the deep history of Nigeria. You will encounter paintings and other imagery outside the building even before you get inside. With its fantastic display of culture, the Nike Gallery will present Nigeria in a more beautiful light than what most people believe. You will also see fantastic stone sculptures and hanging craftworks. Inside the five-story building, there are arts on every wall. You can see paintings displaying great colors in all sizes and shapes. Sculptures on display show the different configuration, from different times in history, and demonstrating a change of life and cultures of Nigeria. Nigerian paintings will leave an everlasting image in your mind long after you go to the country. Located on the Obudu Plateau, this resort center is now a major tourist destination. It is now known as the Obudu Mountain Resort and has a fantastic landscape. The view of the mountain presents unbelievable scenery. The change of temperature happens so quickly. One moment it is warm, and then you get a brisk chill in the air. The entrance to the ranch display considerable bullhead and beyond you can see the mountains. This resort has accommodations that will suit anyone who is out for an adventure. You will find standard rooms, executive rooms, and even presidential suites if that is what you want. So, if your next trip plan is to Nigeria, make this one of your site to visit. Another place that is filled with history is Kano. Kano was a commercial hub during the trans-Saharan trade in the past. The city itself still displays the mud huts with distinct Hausa architectural designs. The infamous city wall shows its history. Once inside the city, you will notice the narrow streets that once were used by the people of Kano moving their live stocks. Modernization is changing the city; nevertheless, some things of the past are still visible. Lekki Leisure Lake is an ideal location for a family fun day. If you are out for an adventure after being in the hotel for a while, then Lekki Lake is waiting for you. This venue is for adventurous individuals who are ready to do fun stuff. If you are into zip lining, jet skiing, boat cruising, or biking, then you are out for a treat. You will find Lekki Lake at Water Corporation Road, Lekki, Legos with many adventurous activities awaiting you. There are numerous waterfalls to see in Nigeria. One is Owu Water Falls in Kwara State. Owu Waterfall is the highest and most spectacular in West Africa. Its surrounding is filled with tropical rainforest containing a wide range of wildlife and plants. If you feel like having a picnic, you are at the ideal place to do so. Another waterfall in Nigeria is the Erin-Ijesha Waterfall that you will find in the Osun State. The fall has seven layers of plains coming down that provides impressive views. At each level, the spectacular views and the sound of the water just put you at ease. Nigeria’s geography allows it to have plenty of parks that are still in their natural forms. Due to conservationist, many of the native animals seek refuge in this vast plot of land and forest. The Okomu National Park is another of these forests. Because of the protection offered, you will find rare creatures like the pangolin. Similarly, you will come across chimpanzees, leopards, and elephants in Okomu National Park. Nearby, you will see rural tribal villages where people still live by their customs and traditions. This wonder of Nigeria provides a sense of how the people of the past interact with each other and what is done to survive. Benin City is energetic and filled with hustling and bustling merchants. The city has its history that goes all the way back to the Benin Empire when it was called Edo. During the Benin Empire, great architectural feats were created and are now still visible in the city. You will also have the National Museum available to visit. In the museum, Benin’s history is proudly displayed by the bronze figures on display. Apart from the past on display, Benin City is still busy with the natives and tourist coming and going. Interested places to visit in Nigeria cover just a fraction of what this fantastic country has to offer. If you plan to visit Nigeria and needs a visa, you can also contact a visa company like National Passport Services. This company can express your application so that you will be able to get a Nigerian Visa in a day if necessary. So, start planning your next vacation and if you choose Nigeria, use this information to visit a historical or fun place in Nigeria.